Wetlands can form in overlooked spaces, and that might be a good thing. Accidental wetland study site under highways near Phoenix, Arizona. (Inside Science) -- Monica Palta always tries to grab the window seat. When flying between cities, the wetland ecologist from Arizona State University in Tempe likes to peek out from the clouds and search for man's swampy mistakes. Palta studies "accidental wetlands," the ponds, bogs and marshes unintentionally made by human activity, which she and other wetland researchers have found can be beneficial to local ecosystems. A wetland is a place inundated with water long enough to maintain water-filled soil and water-loving vegetation. Natural wetlands form in a variety of ways, often when a lot of water becomes trapped in a low-lying area. Ocean water flows over barrier islands and settles into coastal basins. High river water spills into a floodplain. Even earthquakes and glaciers can create depressions that later fill with groundwater. Man-made wetlands follow a similar recipe, beginning with an area with low elevation. This could be anything from a ditch by the highway to an abandoned construction site. Common sources for the water that accumulates are stormwater and wastewater, which city planners often direct in order to avoid flooding developed communities. The soil beneath this water compacts, forming layers so dense that water can’t leak through. The trapped water then starts to pool, creating just the right living conditions for wetland plants, animals and even microbes. Most accidental wetlands go unnoticed, and therefore unstudied. However, Palta and her colleagues published a paper last month in the journal Frontiers in Ecology and the Environment, demonstrating that some unintentional wetlands may act much like their naturally formed cousins. Like the kidneys that filter our blood's waste, natural wetlands filter pollutants and remove nutrients like phosphorus and nitrogen. If left in excess, those pollutants can greatly harm aquatic ecosystems. Wetlands can also host a wide range of ecologically important species, reduce heat, act as buffers against storms, and capture and store carbon from the atmosphere. Over the years, scientists have uncovered accidental wetlands that act similarly. For example, Liberty State Park in Jersey City, New Jersey, was a tidal mudflat before it was converted to a train yard. After the industry declined, the site remained fenced off for more than 40 years, allowing brownfield wetlands to take form. In 2013, Palta and her colleagues found “active plant communities and soil nutrient cycling” within the environment, the traits of a healthy wetland ecosystem. Similarly, in the 1970s in Bucharest, Romania, city developers constructed a large reservoir, but scrapped the project before completion. Years later, a shallow wetland reclaimed the area, creating the city’s famous nature reserve, Lake Văcărești. The site now is home to amphibians, reptiles, foxes, otters and more than 90 bird species. Even though accidental and natural wetlands have common attributes, there are a few key differences. Since these waterways develop by human interference, they are more vulnerable to pollution and heavy metal contamination, which can make a wetland more environmentally harmful than helpful. They are also susceptible to invasive species: “Accidental wetlands are much more prone to biological invasion (probably the biggest threat to their ecological function),” wrote Doug Deberry, a veteran wetland scientist and assistant professor at the College of William & Mary, in an email to Inside Science. Palta predicts that these man-made habitats still likely provide a net benefit to the urban environment. She also suggests that environmental managers could incorporate existing accidental wetlands into their designs. Palta and her co-authors claim that because unintentionally made wetlands already provide a habitat to build off from, wetland projects would need fewer funds to establish a fully functional ecosystem. 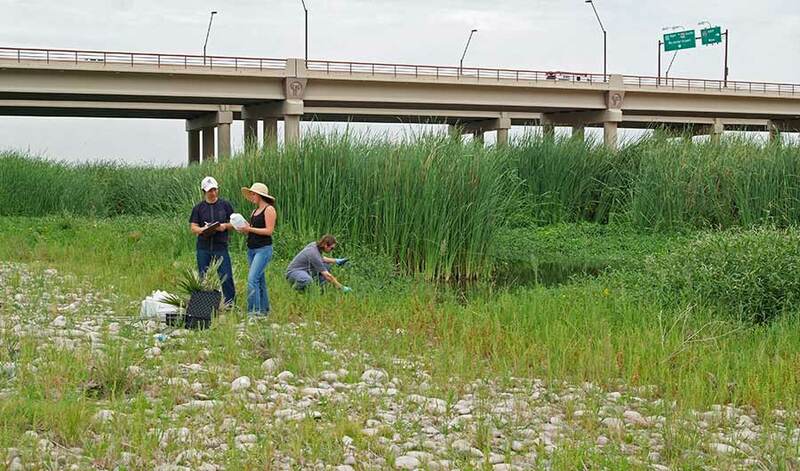 When it comes to accidental wetlands, there are still many unknowns, and Palta said more research is needed to fully understand what these habitats can do for their surroundings. Nevertheless, Mitsch doesn’t think Palta will run out of wetland samples any time soon. Olivia Trani is a contributing writer from Richmond, Virginia. Follow her on Twitter @OliviaTrani.